What sort of Santa Claus wears a mask, for goodness sake? Would you really “make the kiddies happy” showing up in a “heavily waxed” Santa mask? 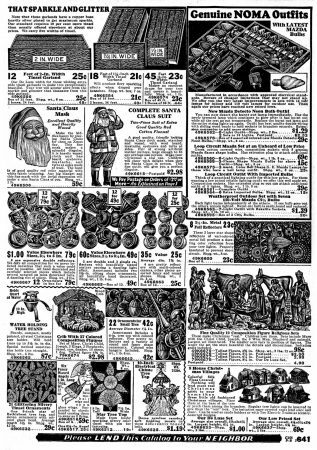 Sears thought so in the winter of 1932. Me, I think this is just one step away from a scary clown. 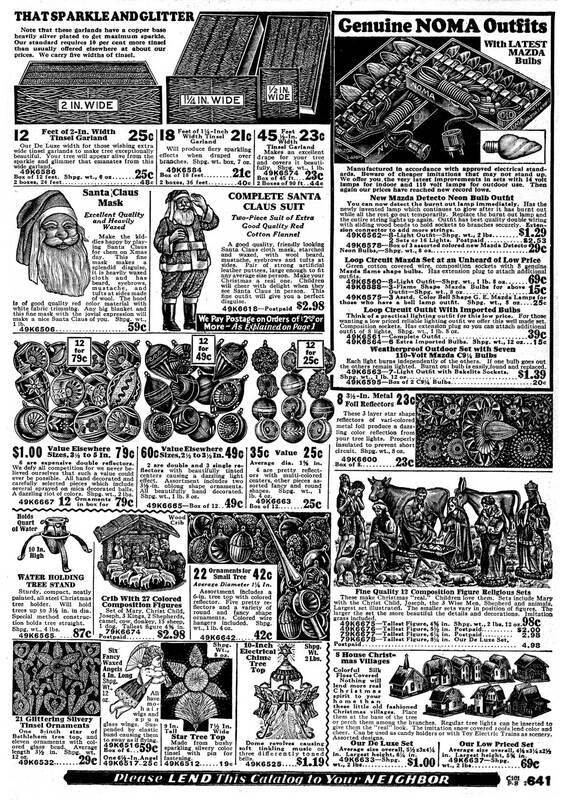 On the other hand, the Christmas decorations on these two pages are charming in a Depression-era way. 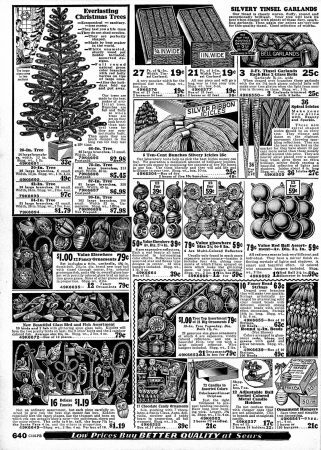 The early artificial tree branches look a little too much like bottle brushes, the silver ribbon icicles are undoubtedly poisonously lead-based, and the candles for your tree are “almost dripless”. Click to zoom in for the details. 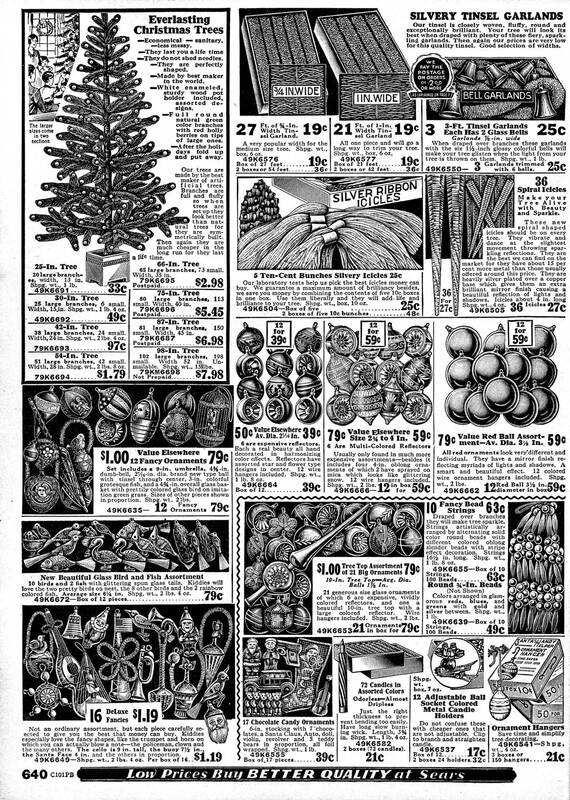 But there are also new electric tree lights (if your budget permitted), and so many wonderful glass ornaments so beautifully etched by the printer that you can almost see the color and sparkle even on these black and white pages. Add some garlands and creches with which to deck the halls, and your cottage would soon be ready for the appearance of the Jolly Old Elf on Christmas Day. Wearing a heavily waxed mask.